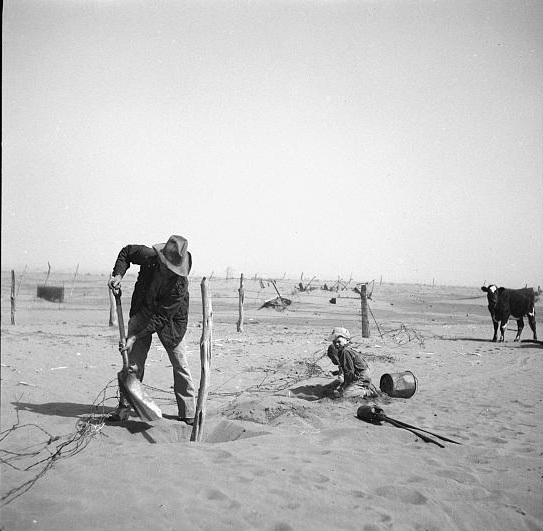 Dust bowl farmer raising fence to keep it from being buried under drifting sand. Cimarron County, OK. April, 1936. Photo by Arthur Rothstein.